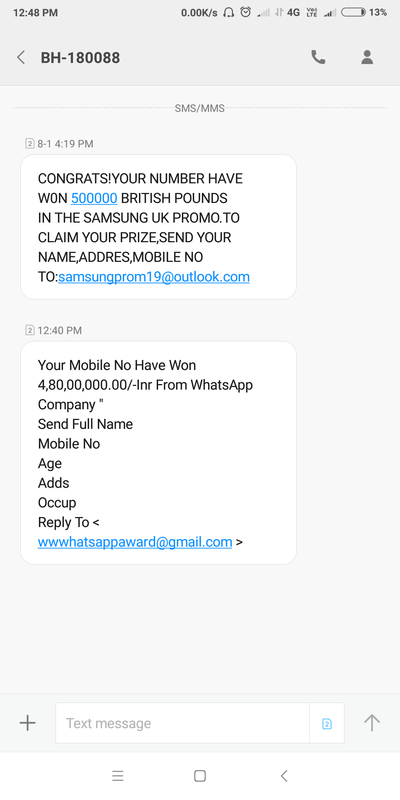 I recently received an email with this subject line: Your Mobile No Have Won 4,80,00,000.00/-Inr From WhatsApp Company ORCONGRATS!YOUR NUMBER HAVE W0N 500000 BRITISH POUNDS IN THE SAMSUNG UK PROMO and I am concerned that it could be an attempt at defrauding me. Let me know in the comments section what you think, please. Don’t give any of the information contained in the massege . Thank you .